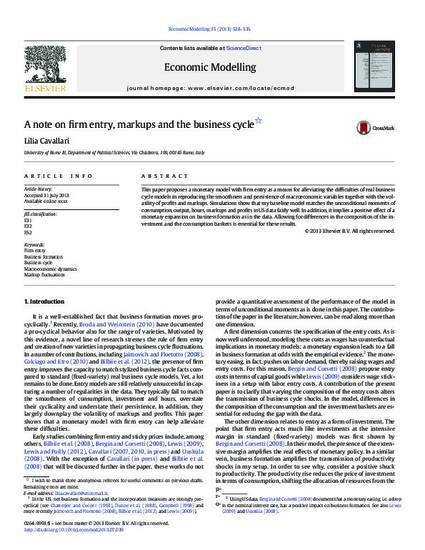 This paper proposes a monetary model with firm entry as a means for alleviating the difficulties of real business cycle models in reproducing the smoothness and persistence of macroeconomic variables together with the volatility of profits and markups. Simulations show that my baseline model matches the unconditional moments of consumption, output, hours, markups and profits in US data fairly well. In addition, it implies a positive e¤ect of a monetary expansion on business formation as in the data. Allowing for differences in the composition of the investment and the consumption baskets is essential for these results.